Marc’s blog: for peat’s sake! I like to think I am a reasonably environmentally-friendly chap, writes AG news editor Marc Rosenberg. I grow quite a lot of veg, herbs and salads, use hardly any chemicals in the garden, recycle around 80 per cent of my household rubbish and so on. But apparently, despite all my efforts to ‘go green,’ I am considered by some to be an eco-vandal. My crime? Well, I’ve always refused to go peat-free, despite mounting pressure from environmental campaigners. Early peat-free composts were, to be frank, rubbish. Plants lacked vigour and crops were pathetic. Bulky to carry, they retained water like a sponge and as a result, seedlings keeled over from damping off. But gardeners were still pressurised into ditching peat to prevent its extraction from wildlife habitats. A decade on, the story couldn’t be more different. I’ve just been to the Garden Leisure Exhibition (GLEE), a trade show at Birmingham’s NEC, to see the latest innovations in peat-free growing media. 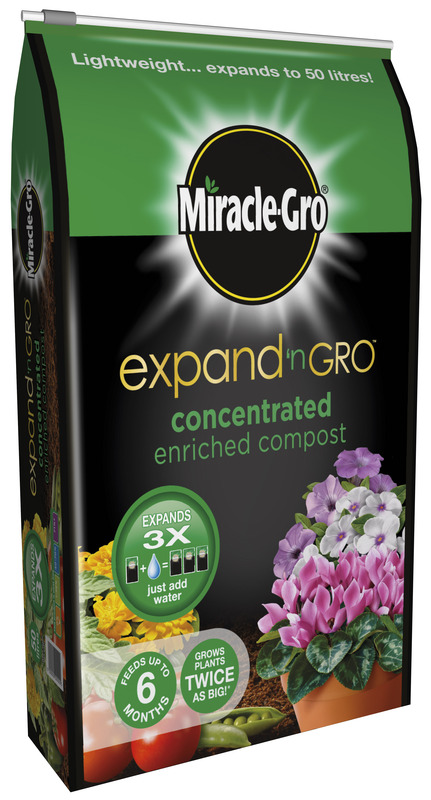 Miracle Gro’s new Expand ‘n Gro compost (pictured, right) is leading the way when it comes to going peat-free. It’s a coir media that expands to make 56-litres of compost when water is added. 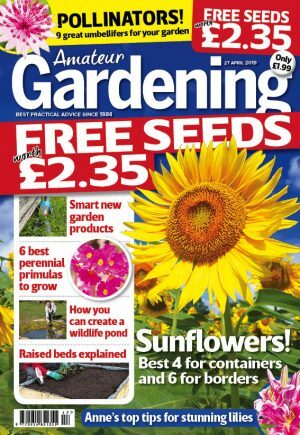 Unlike so many bulky peat-free mixes, it’s crumbly, almost peat-like texture looks perfect for seed-sowing and plant-raising and I will definitely be giving it a go in 2012. The only snag is the price: bags may be lightweight but the price is not. At £9.99, it’s a budget-buster. 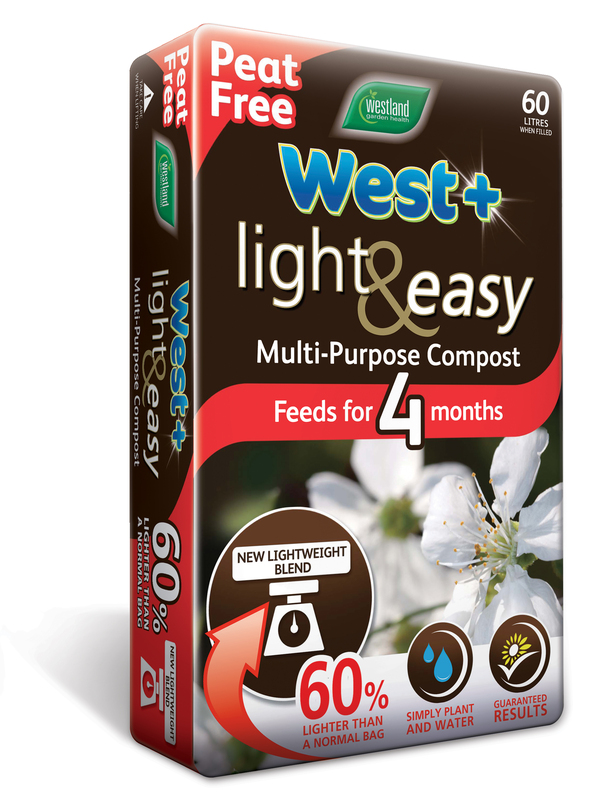 Compost giant Westland will soon launch its Light & Easy peat-free brand (lower picture). It’s said to be 60 per cent lighter that traditional peat-based growing media. Although Westland didn’t have the compost for journalists to play with, a lighter compost will be much easier to carry to the car, or around the garden, so it’s step in the right direction – especially as Westland says it performs as well as peat. It costs £3.99 for 20 litres. And finally, if you’re looking to go peat-free in 2012, try the new RSPB Multi-Purpose Compost. The RSPB has been at the forefront of the anti-peat campaign and now it’s teamed up with compost maker Vital Earth to bring out this new blend, made from sanitised recycled garden waste. It’s priced at £5.99 for a 50-litre bag.